Posted November 3rd, 2014 - News Posted for ISA News. 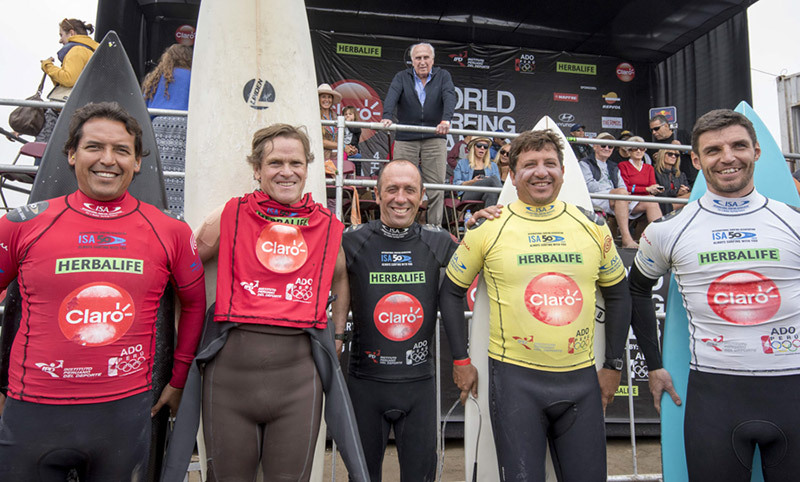 Following an incredible Final Day of great waves and tremendous surfing, the Champions of the Claro ISA 50th Anniversary World Surfing Games were crowned. 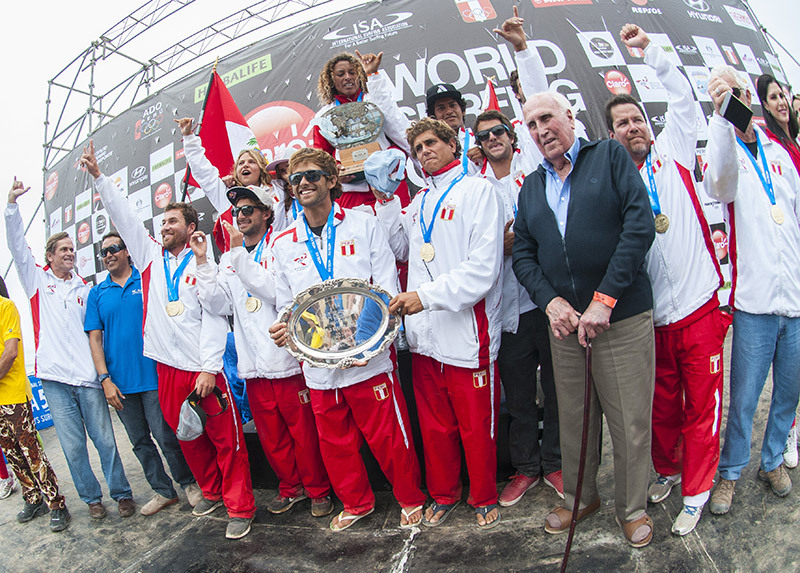 Peru is the new World Team Champion after narrowly defeating Australia, who placed second, Argentina in third and Costa Rica in fourth. The host country is also the winner of the Fernando Aguerre World Team Champion Trophy and the International Olympic Committee (IOC) President’s Trophy. The Final Day came to a nail-biting finish. The stars lined up perfect for Team Peru by winning the Women’s Final and with the Australian Men finishing third and fourth in the Final to upset the Aussies. Peru defeated Australia by a small margin of only 62 points in the overall Team Standings, one of the closes margins of victory in ISA history. Argentina’s Leandro Usuna is the new Men’s Claro ISA 50th Anniversary World Surfing Games Gold Medalist. With powerful turns and carves in overhead surf at Punta Rocas; Usuna showed solid performances during the whole event, ultimately awarded him the Gold. The local favorite Anali Gomez is the new Women’s Claro ISA 50th Anniversary World Surfing Games Gold Medalist. Gomez earned the Gold Medal with a solid score in the last minutes of her heat. The swell predicted by Surfline, the official forecasters of the event, arrived just in time for the Finals with surf in the 6-8ft range with occasional double overhead waves. 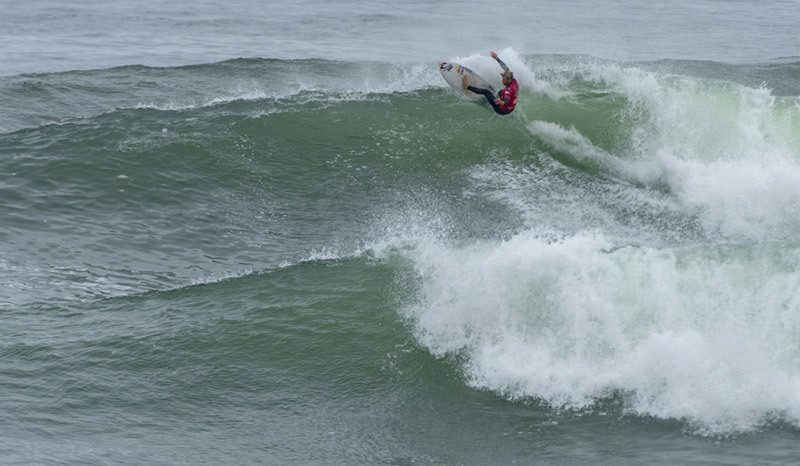 The world-class point break of Punta Rocas, Peru allowed the world’s best surfers to compete at their highest potential and fight for the Team Championship and individual Gold Medals. To start of the day, the Final of the ISA Aloha Cup took place. Peru won the Gold Medal, defeating Argentina, who earned the Silver Medal, South Africa the Bronze Medal, and Australia the Copper Medal. In the Women’s Repechage, the two Aussie Girls, Jessica Grimwood (14.50) and Philippa Anderson (12.03), advanced to the Grand Final, defeating Japan’s Nao Omura (9.10), and Costa Rica’s Leilani McGonagle (8.93). 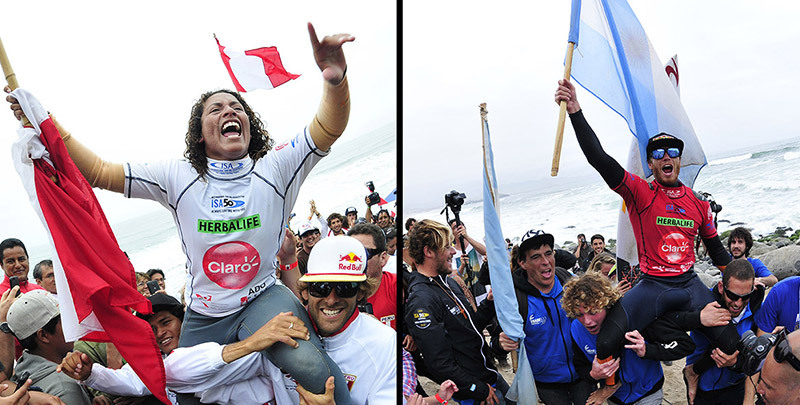 Grimwood and Anderson then joined Peru’s Anali Gomez and Ecuador’s Dominic Barona in the dramatic Women’s Grand Final. It was the Peruvian that came from behind in the last minute of the heat to take the win. Gomez earned a 12.86 to win the Gold Medal. In second place, earning the Silver Medal was Ecuador’s Dominic Barona (12.53), followed by Australian’s Philippa Anderson (12.50) earning the Bronze Medal and Jessica Grimwood (11.63) with the Copper Medal. 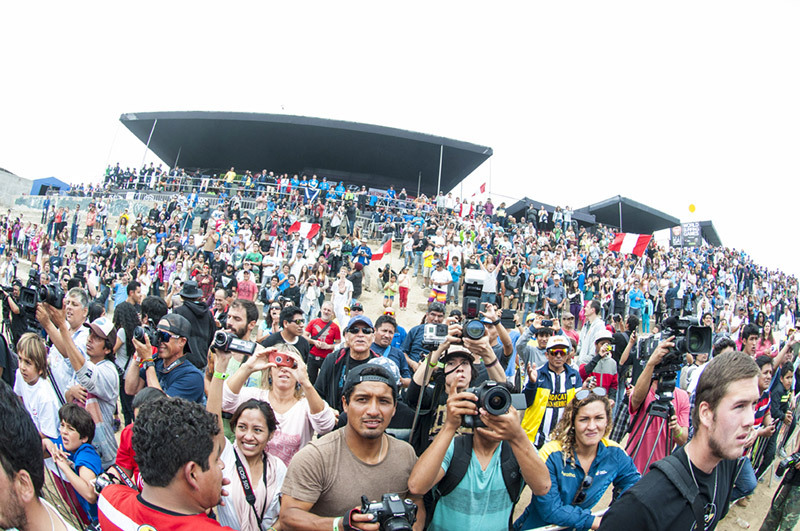 “I’m super happy, I thank all the people of Peru and Punta Hermosa, my family and everybody who sent me good vibes,” said the Gold Medalist. “I’ve been working 20 years for this and thank God it happened here at my home. With 30 seconds remaining I paddled with all my strength and the only thing on my mind was that this was my moment”. On the Men’s side, the Repechage Final had a nerve-wracking fight for the final two spots in the Grand Final. Australia’s Nicholas Squires won with 13.57 and in second place with a 12.66, Costa Rica’s Anthony Filligim earned a spot in the Grand Final. Peru’s Joaquin Del Castillo came in third with a 12.20 and Argentina’s Santiago Muniz in fourth with a 8.09 were eliminated from the competition. To finish the event, the Men’s Final featured Leandro Usuna (ARG), Shane Holmes (AUS), Nicholas Squires (AUS) and Anthony Fillingim (CRI). There was no way to stop the Argentinian as he dominated the heat earning an impressive 8.90 and 9.63, the two highest scores of the heat for a total heat score of 18.53 to earn the Gold Medal. In second place, earning the Silver Medal was Costa Rica’s Anthony Fillingim (13.57), followed by Australia’s Shane Holmes (12.84) earning the Bronze Medal and Nicholas Squires (12.70) with the Copper Medal. To give the athletes a break between the Repechage and the Grand Finals, a unique “ISA 50th Anniversary Presidents Board Meeting” took place in honor of the 50th Anniversary of the ISA. 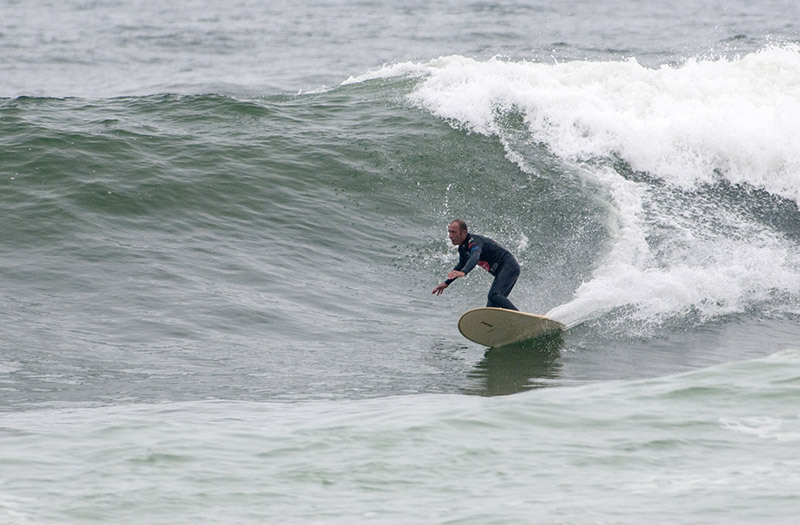 ISA President Fernando Aguerre was joined by all the Presidents of the National Surfing Federations in attendance to share a free surf and discuss the future of the sport in the water. 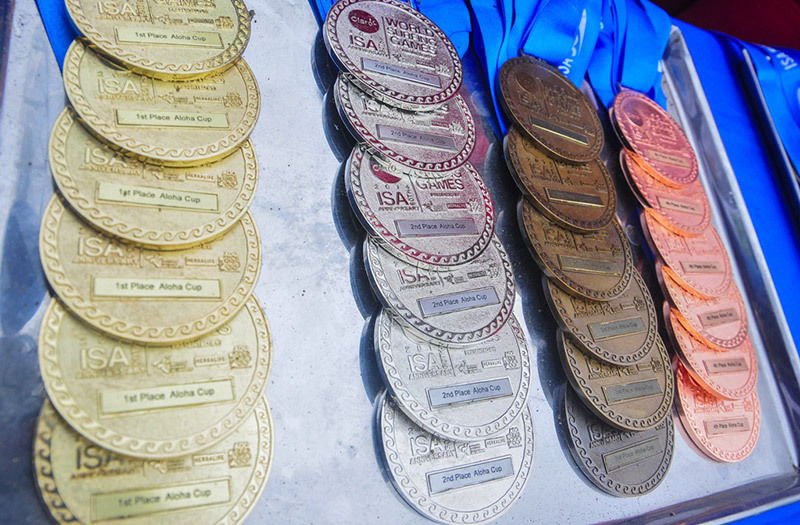 When the surfing competition concluded, the Closing Ceremony took place to officially close the Claro ISA 50th Anniversary World Surfing Games and award the team trophies and individual medals.